Deepika Padukone looks resplendent as Queen Padmavati in her layered jewellery and elaborate lehengas. Designer duo Rimple and Harpreet Narula did intensive research on royal costumes of the 13th century pre-Mughal period. The result is nothing less than ethereal on Deepika. The “Ghoomar ghaghra” has deep rich jewel tones. They used colour blocking on multiple layers for the look. These pants are worn by the gypsy tribes of Kashmir. Pashtun pants look like drawstring trousers, typically contrasting with the dress on top. The fit of the pants is loose on top and fitted at the waist. It falls loosely around the ankles. Team it with a kalidar kameez for semi-formal family functions. Tip: A big fat cuff will bring a rustic flavour to your attire. If you’ve seen any portraits of the Nawabs and ladies of Awadh, you’ll know they were connoisseurs of fine fabrics. Reams of the softest makhmal (velvet) and mulmul were used to make their robes and anarkalis. Embellishments were primarily zardozi or chikankari. The poet Amir Khusrau describes the fabric of the Awadhs as being so light and transparent that it seemed like their bodies were covered with liquid instead. 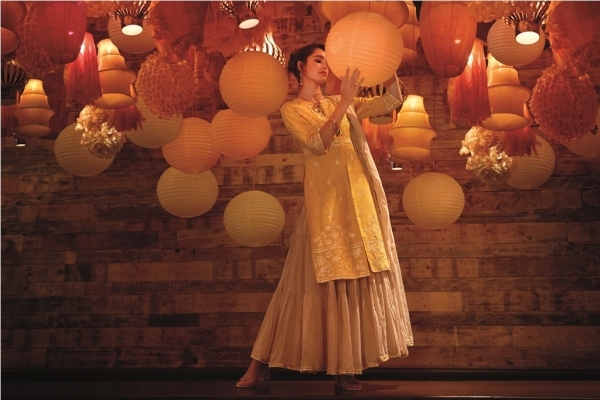 Tip: Look for an anarkali of this sort, with motifs of flowers, mangoes and stars. Royal women of Rajasthan favoured Leheriya sarees and salwars. The term leheriya literally translates into wave-like, which describes the distinctive wave-like pattern aptly. It is authentically achieved with a tie-n-dye technique. With tie-n-dye making a comeback on international ramps and Lakme Fashion Week, it’s the perfect choice for the summer season. 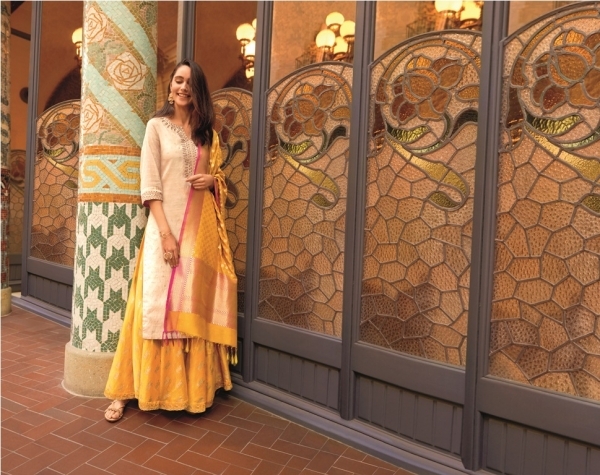 Tip: Wear a leheriya anarkali with silver bangles and earrings for an ornamental effect. Remember the many kurtas Ranveer Singh wore in ‘Bajirao Mastani’? They were all in the Peshwa style. In an Indian instance of the menswear-inspired clothing trend, this garment has made its way into feminine closets with a few design tweaks. Less ornate than the North Indian royalty, Peshwai clothing is known for the beauty in its simplicity. Opt for a long version with a beige skirt instead of pajamas. Tip: Go heavy on the jewellery for a dressy appearance. Hyderabad once had the world’s largest wardrobe. Nizam Mehboob Ali Khan had 124 almirahs to hold his clothes, shoes and accessories. He never wore the same outfit twice. The sartorial side of other nizams wasn’t too different from his. The nizams of Hyderabad are famous for their couture done up in real gold zari and use of gemstones stitched onto various textiles. A nizami sharara is your best bet to stand out at a wedding. Tip: Dazzle in a pair of statement jhumkas and leave your neck bare.